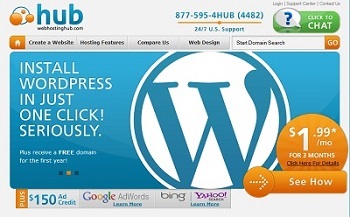 Webhostinghub has just announced new contract pricing terms for its reliable and popular shared web hosting service. Two and three year contracts can now be purchased for $1.95/month during the first three months and then $3.99/month for the remainder of the plan. Webhostinghub has been at the top of the BigHosts Top Ten Web Hosting list for the past two years because of its strong combination of features and price. In addition, it belongs to the Inmotion family of web hosting companies which gives it a solid financial background. BigHosts.com is one of the only places where you’ll find this special price (feel free to search Google) and our staff has been informed that this offer will not last. 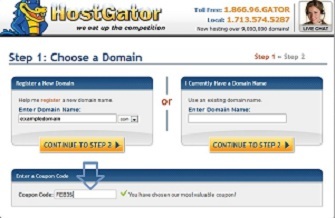 So learn more about Webhostinghub by reading our complete review and compare it against other top hosting companies in the expanded comparison chart. IX Web Hosting has been in the BigHosts.com Top 10 Web Hosting List for years because it provides a strong combination of value, features and service. Now is an even better time to buy with its annual Valentine’s Day web hosting promotion. From now until Friday, February 15th, all shared web hosting plans are 50% off. This means you can get the full featured Expert Hosting Hosting Plan for as little as $2.96/Month. To learn more about IX Web Hosting read our complete review, check it against other top 10 hosts in our expanded comparison chart and then visit IX Web Hosting to take advantage of this promotion — use the coupon code “bemine“.